It’s that time of the year again! Time for our yearly Holiday Happy Hour. 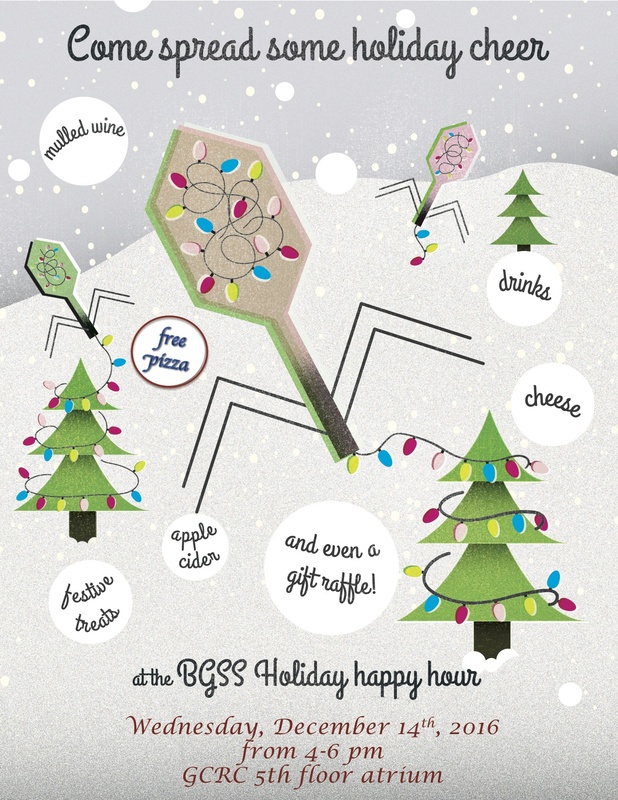 It will be Wednesday, December 14 between 4-6 pm in the GCRC 5th floor atrium. There will be holiday cheer, drinks and some food to snack on! A gift raffle will also be held for all those that attend. Come join us! Posted in Uncategorized on December 5, 2016 by mcgillbgss.